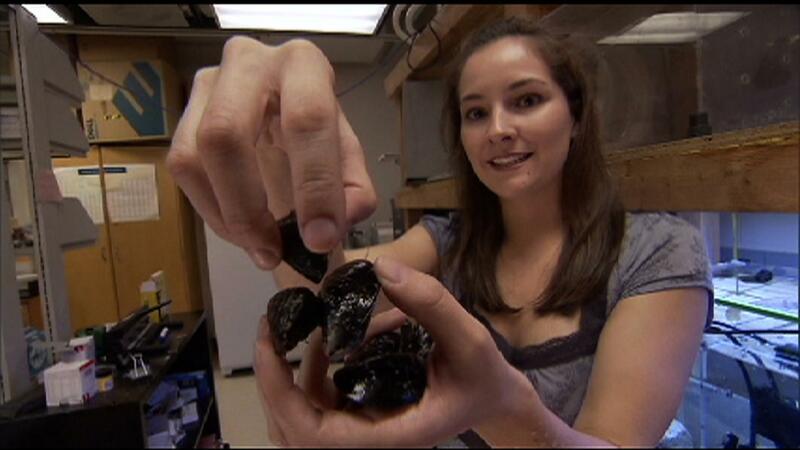 Lesley Hamming used to be a tri-athlete, but now she studies mussels (a type of clam) at Northwestern University. Mussels have the amazing ability to stick to almost anything, even in water. Scientists like Lesley are trying to create sticky substances that work just as well as the mussel glue, but that can be mass-produced in a lab.